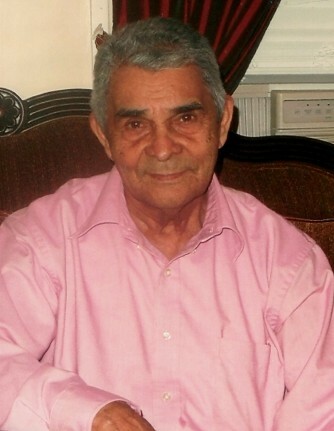 Mr. Geronimo Antonio Rodriguez Dominguez, age 86, died on Sunday, March 31, 2019 at his home in Lawrence, surrounded by his loving family. He was the loving husband of Martina (Arvelo) Rodriguez. Relatives & friends are invited to attend visiting hours at the Diaz-Healy Funeral Home, 107 South Broadway, Lawrence on Thursday, April 4, 2019 from 5 - 8 p.m. On Friday, April 5, 2019, Geronimo's funeral will begin at the funeral home at 9 a.m. followed by a funeral mass at St. Mary of the Assumption Church, 300 Haverhill & Hampshire Streets, Lawrence at 10 a.m. Interment will follow at St. Mary Cemetery in Lawrence.